On Wednesday, January 25th, a call went out for donations to help support a targeted advertisement via Facebook in support of the White House Petition on School Libraries. Quick creative, keywords, and copy were built about the petition and fielded to an initial audience of 3.8 million people. By 10pm that evening, 34 individual donors pledged $1,250 in support of this outreach. 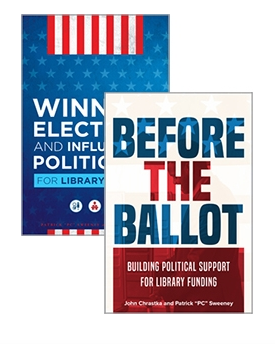 The initial ad targeted Facebook users people who have keywords on their profiles indicating that they were supporters of libraries, reading, and books, or were professionally involved in the library field. From 2pm CST on 1/25 through 2pm CST on 1/27, the ad was seen at least once by 255,000 people. It quickly became apparent that the funding could be used for more targeted advertising to a wider audience. 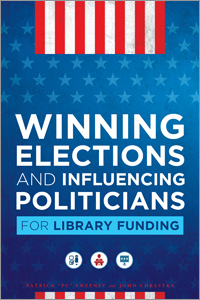 Within the first 24 hours, ALA’s Office for Library Advocacy created a special post on the I Love Libraries Facebook page to support this project. By Friday at Noon CST, five new ads with extensive, targeted keywords were fielded to the following groups out among the public: Libraries, Books and Writing, Education, Parents, and Friends of I Love Libraries Fans. A 6th group, ‘Civic Minded’, is ready to roll in case we need it. This phase of the campaign has a potential audience of 44 million people and will direct them to the special ILL page. The keywords and creative for this phase are attached and available to you open-source for future use in local, statewide and regional campaigns. As the campaign wraps up after February 4th, a full set of statistics about the efficacy of these keywords will be available for you to benchmark your own projects. This ad campaign is not the only thing helping this petition along nor is it the only driver. We could have $10k to spend but with our run way we need word of mouth and friends and family to help us deliver as well. We have 7 days (through Feb 4) to make it happen across the library ecosystem as we use our networks to get the word out. Help light a fire yourself by posting and sharing the petition and the I Love Libraries FAQ. Thanks to Jaimie Hammond for her social media skills and creativity, Marci Merola at ALA OLA for her leadership on ESEA reauthorization and school libraries, and the ALATT crew for stepping up when it is needed. Previous PostAnnouncing the Winner of the Great Librarian Write-out! !Next PostLibraryLab – Library Boing Boing is up and Running!